Young children are enthusiastic, boisterous and aching to try out just about anything they see their parents doing. Although there are limits to how much independence they can have, community service projects make a great way to get them to start thinking of their community as "us" instead of just "me" and "them." Children need to receive more than just lessons on kindness---they need the opportunity to practice it themselves. Find smaller or simpler "helping" tasks for children who seem to be hanging back or are uninvolved. As any early elementary teacher can tell you, children need to be able to see what they've accomplished. 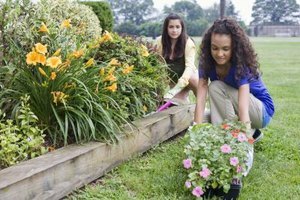 Choose activities that show results (like a class garden in a public area) and keep track of contributions on a "Help-O-Meter" or "Accompli-Chart," detailing each task or time spent for each child. Have children host a recognition program for volunteers who help them do their projects and encourage all parents to attend---the volunteers will find it more meaningful than a computer certificate and the children will get a thrill out of setting the agenda and being in charge. Find smaller or simpler "helping" tasks for children who seem to be hanging back or are uninvolved. Young children tend to be hesitant when they have been rebuked for making mistakes or have been protected from failure. Helping or working with another child may help them develop the courage to try the next task on their own. Make birthday cards for the elderly, making sure that kids understand that these people are someone's grandparents. 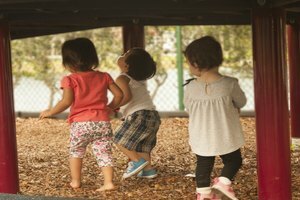 Limit goals for young children. They don't need to know how a food pantry works or what qualifications recipients must meet but they should understand that the canned food drive in which they are participating is for a place that shares with people who are in need. Make birthday cards for the elderly, making sure that kids understand that these people are someone's grandparents. You may set the stage for nursing home visits and class performances in the next grade level. 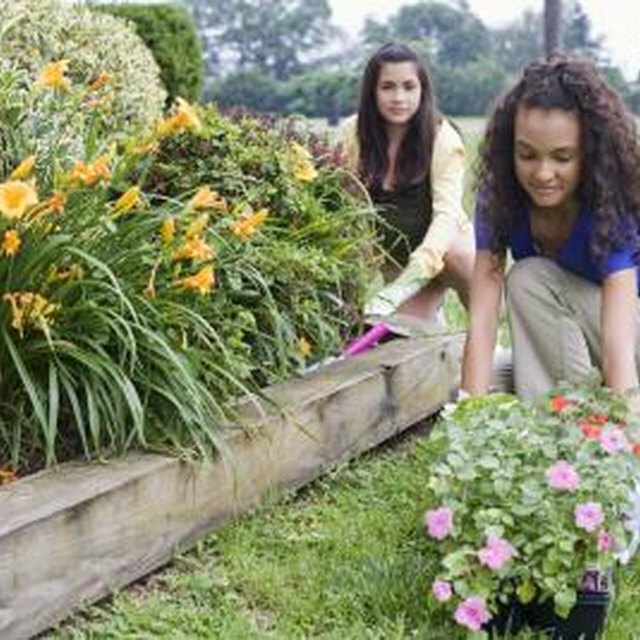 Use an Earth Day project to start plants to contribute to a flower bed---or community garden---in a city park. Encourage classes to choose a community focus and think of projects for the whole year. If they choose a homeless shelter, for example, start with collecting old books and toys they've outgrown and move on to mittens, coats and other necessities or make holiday and birthday cards for sheltered children. 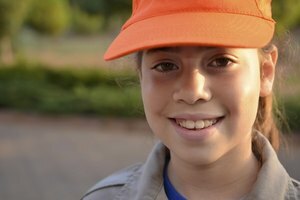 Encourage kids to participate in penny contests, food drives and eyeglass collections. Young children enjoy sharing---once they're used to the idea. 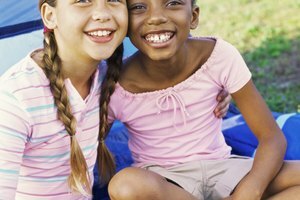 Encourage kids to participate in penny contests, food drives and eyeglass collections. Be sure to provide suitable recognition for winners---a $10 cheese pizza or make-your-own sundaes in paper cups are small expenditures compared to the wave of goodwill that will propel kids to their next act of kindness. Start a"Book Buddy" or other mentoring program with new younger students. A year can make a great deal of difference at this age. Encourage children to think of ways to help others. Find and clip food coupons for the food pantry or homeless shelter. Have kids encourage their parents to contribute blankets, bedding, coats and clothing to the Red Cross or other groups, then recognize students who collect the most, the finest, the oddest---think of enough categories and places within each category to give everyone recognition. Reynolds, Laura. "Community Service Projects for Kids Under 10." 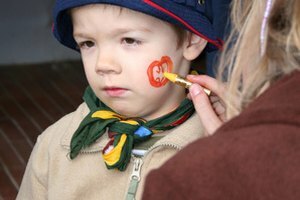 Synonym, https://classroom.synonym.com/community-service-projects-kids-under-5164033.html. Accessed 20 April 2019.